THE land of ancient sites and architectural treasures, from the Acropolis in Athens to the frescoed Minoan palaces on Crete. There are also 1400 islands to explore. 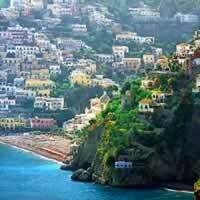 For centuries, Italy has drawn foreign visitors, mostly for its architectural, artistic and scenic splendors. Its great cities are replete with fantastic works of art ranging from the Roman times to the Renaissance. 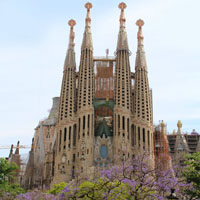 Spain is a country of passion, excitement and enthusiasm unlike any other in Western Europe. It offers everything from cosmopolitan cities, to popular or secluded beaches, charming villages, and interesting festivals. Turkey bills itself, and rightfully so, as the "Cradle of Civilization," boasting more Greek ruins than Greece and more Roman archaeological sites than all of Italy. 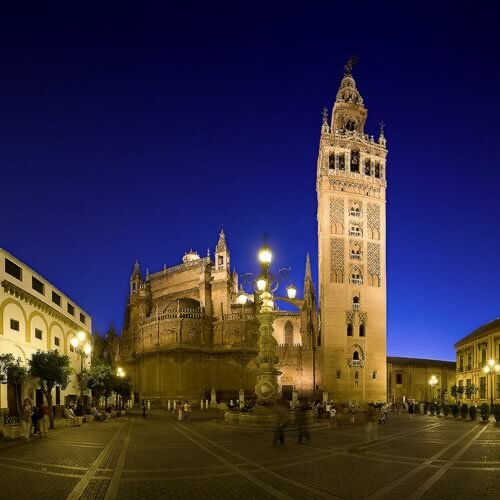 Visit beautiful Spain with a unique, flexible vacation package! See Barcelona (incomparable fashion, architecture, food, style, music and good times) and Mallorca Island (breathtaking landscapes varying from rugged mountains to windmill-dotted plains and superb beaches) with a flight between cities. This is a flexible vacation package. Select your number of nights in each city, desired hotel and activities. Combine Athens, the cradle of civilization; full of mythology and stunning ruins with Mykonos, the island oasis with winding streets and unbelievable beaches! 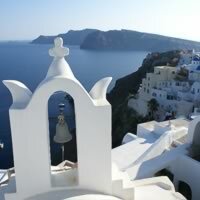 This delightful vacation package in Greece will not soon be forgotten! Flights between cities.This is a flexible package. Select your number of nights in each city, desired hotel and activities. If romance is your ideal vision for your vacation in Europe, then this package combining France and Italy is for you! 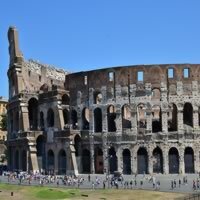 Begin in Rome (centuries of artistic achievement, romantic narrow alleys, glorious food and scenery) and continue with a flight to Paris (the City of Lights, home of the Eiffel Tower and intimate strolls along the Champs Elysees). This is a flexible vacation package. Select your number of nights in each city, desired hotel and activities. Europe has so many iconic cities, and this vacation will take you to favorites in Spain, France and Italy! Your adventure starts in Barcelona (featuring the indelible architecture of Gaudi, the famous medieval Barri Gotic, narrow streets and bustling plazas with a constant buzz along the cutting edge of fashion, music, food and good time); fly to Nice (Founded by the Greeks and later a retreat for 19th-century European elite, the city has also long attracted artists) and then continue to Venice (built on more than 100 small islands in a lagoon in the Adriatic Sea. It has no roads, just canals – including the Grand Canal thoroughfare – lined with Renaissance and Gothic palaces). Flights between cities. This is a flexible vacation package. Select your number of nights in each city, desired hotel and activities. 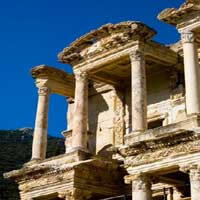 Visit Spain, Greece and Italy, three cultural powerhouses who spawned powerful civilizations! 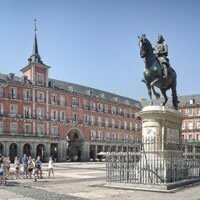 This customizable vacation package featuring Madrid (Spain`s central capital, is a city of elegant boulevards and expansive, manicured parks such as the Buen Retiro. It`s renowned for its rich repositories of European art, including the Prado Museum`s works by Goya, Velazquez and other Spanish masters), Rome (ancient ruins such as the Forum and the Colosseum evoke the power of the former Roman Empire) and Athens (the city is still dominated by 5th century BC landmarks, including the Acropolis, a hilltop citadel topped with ancient buildings like the colonnaded Parthenon temple) will leave you breathless! This is a flexible vacation package. Select your number of nights in each city, desired hotel and activities. Combine Barcelona, Girona, Perpignan, Aix en Provence, Nice and Paris with the Talgo, TGV and TGV Med Trains. Combine Barcelona, Perpignan, Carcassonne, Aix en Provence, Nice, Santa Margherita Ligure, Lake Como and Florence with the Train, RE, TGV and EC Trains. Europe offers a window into the world, and this vacation package does not disappoint! With transportation via train between each city, you will see the beauty of the countryside. Begin with a stay in stunning Venice (sumptuous palaces along beautiful canals), continue to underrated Nice (brilliant sunshine and under-crowded beaches), romantic Paris (The Louvre, Eiffel Tower and Champs Elysses) and raucous Barcelona (always on the biting edge of architecture, art, food, fashion and music). This is a flexible vacation package. Select your number of nights in each city, desired hotel and activities.